I’m having one of those days where I feel like I’ve abandoned the blog. I know it’s only been a week, but I’m definitely struggling with the aspect of ‘not enough hours in the day’. I already have been getting up earlier than normal to work on the photography business (editing and the etsy shop), and then I’m at work from about 8:30-5 (and usually get a run in on my lunch hour. Also, I love my job. ), and then it’s time to head home, make dinner and spend time with the other half. At this point, we’re usually just trying to catch up on our favorite shows, or I’m reading a book. Sometimes, depending on how many shoots I’ve had, it’s back to do some more editing. We’re usually in bed around 8 PM since we’re both up early. So needless to say, I’m having a hard time attempting to fit the blogging in too. I know. The answer is to start planning posts, and scheduling them ahead. Yes – easier said than done. Especially when you don’t really have the time to brainstorm, write, edit, schedule, etc. It’s a challenge. And I’m totally envious of all of those bloggers out there who can do it. My goal for this blog wasn’t to post each day about what I did that day, what I wore, what I ate, etc. It was created to be a creative outlet for me. However, lately, I’m feeling like I’m even lacking there. And I’m even putting pressure on myself to be that blogger who posts daily. But I’m taking a step back. I don’t HAVE to write daily. I don’t HAVE to write if I don’t want too, or if inspiration hasn’t hit. I wish I could be like my favorite blogs I read every day. I really do. Their blogs look amazing, they appear effortless, and are so much fun to read. I look forward to them every day (you can check a few of my favorites out in my Blog Roll!). But right now, I just don’t have the time to devote here every day. My life is busy. And I want this blog to be enjoyable, for all parties. It’s not fun for any of you reading this for me to just be ranting about my day (kind of like I’m doing here… I suppose….sorry!). I mean, unless something interesting happened of course! So, if I’m coming to realize that it’s okay if I disappear. I never set a standard that I’d post every day. I simply wanted this as an outlet to write, whatever I wanted, whenever I wanted. Hence why it’s a glimpse into my life. So back to the roots I go. A little of this, a little of that, with some healthy living stuff, and some photography, and just all around me. Social Media. Exercising. Healthy Living. Three things that have become staples in many of our daily lives. It seems like no matter where I log onto, people are posting/tweeting/instagramming their exercise, food or daily adventures. I’m not complaining, I’m one of those people. I find that seeing those memes or hearing about another friend’s workout adventure is motivating. It makes me want to be active. With the warmer weather coming, I think most of us have fitness on our minds. With warm weather comes swim suits and the beach. I know I want to be ready for that! Social media has become a means for people to boast about their fitness wins, their diet woes and their major successes. It keeps us honest. It also makes it personal and holds us accountable. If you post on Facebook, ‘Heading to the gym after work!’ and then later post ‘Forget the gym, home to sweatpants’ chances are you’re a) going to feel some form of guilt (unless of course you didn’t go to the gym because of illness) or b) probably going to get some negative response. 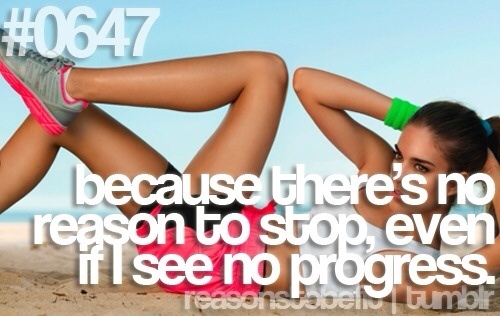 At least this is why I have found in my own fitness journey. I am that person who posts something and doesn’t always follow through. It is my laziness shining through and I am working to change that. Why do I think this happens? More than likely, positive feedback was received for the initial post. People were happy for you, proud of you and wanting to encourage you. When they see the latter post, it may be de-motivating for others and some may wonder why you posted your first post in the first place if you weren’t going to follow through. I’ve found that if I’m posting it to social media, I better be following through. Another awesome way Twitter functions in the health realm is their use of hashtags. Hashtags are great way to keep similar posts in one easily searchable area. One of my favorites is #SweatPink. It’s mostly all women, but it’s a lot of motivation and a lot of great people who are are living the healthy life! 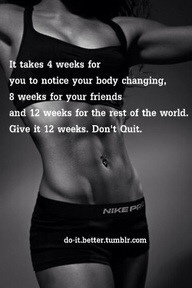 Pinterest: Motivation. Motivation. Motivation. Seriously. If you are looking for motivation, join Pinterest and check out their Health and Fitness pins. You can find workouts, memes, and motivational quotes that will keep you moving. When I’m having a down day, I just hop on and take a look and am usually ready to rock and roll after that! Instagram: Instagram is a visual Twitter. You can have followers and use hashtags to tag your picture so they can be found. It’s a cool way to show your cool new running sneakers, what you’ve been eating throughout the day and your latest workout that you were so proud of. Personally, I love Instagram. It makes my pictures look cool and it’s fun to use. I know, I’m looking into this too much. I look at the use of Social Media as a way to fuel my exercise and my healthy living. Like I said above, it keeps ME honest. But at the same time, when I recently hit my first milestone (5 lbs! 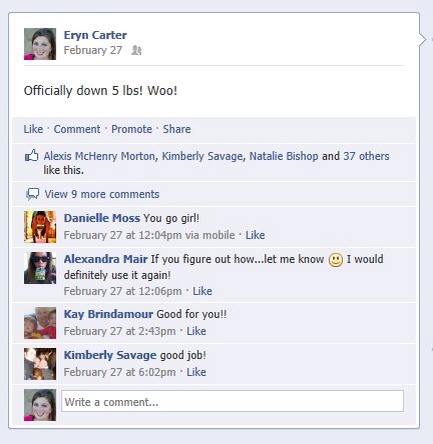 ), I posted to Facebook and the feedback I got from it was incredible and really made me push. I couldn’t wait to post my 10 lb, 20 lb and eventually 30 lb milestone. In today’s world, I think Social Media is great way to get healthy and stay healthy. I’m not where I want to be yet, but I know by posting my progress and my wins, I feel one step closer every day! Stay tuned… at some point I’ll be posting a post about Apps!